Enter through our heavy oak beamed archway into one of the finest hotels in Suffolk. Step into our stylish lounges where elegant sofas and armchairs lie invitingly in cosy nooks or next to our vast open fireplaces – it’s the perfect start to your memorable stay. 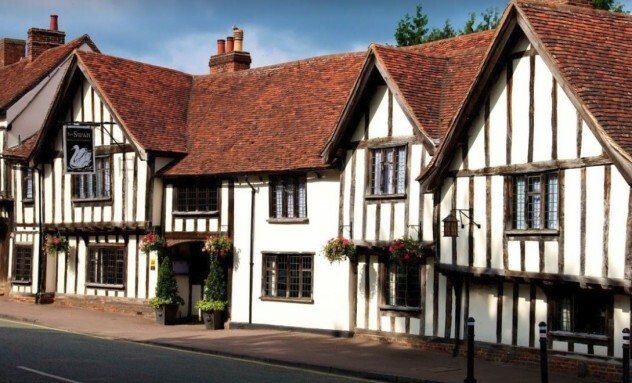 Nestled within the beautiful medieval village of Lavenham, our stunning 15th century luxury hotel is steeped in history but perfectly combines a deep sense of heritage and occasion with contemporary sophistication in its bedrooms and suites, first-class restaurant and indulgent spa. Come and savour a true taste of great Suffolk heritage and luxury with us.